China is set to open the longest sea-crossing bridge ever built, nine years after construction began. The Hong Kong-Zhuhai-Macau Bridge connects Hong Kong and Macau to the Chinese mainland and covers 34 miles. The project was delayed by two years and cost a total of $20bn. The bridge needed 60 times more steel than used to build the Eiffel Tower and includes a four-mile undersea tunnel connected by two artificial islands. 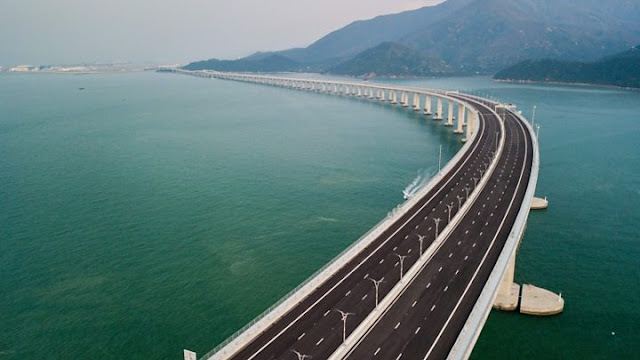 It will be opened to traffic in the morning of 24 October and the Chinese president, Xi Jinping, will be at the ceremony. Journey times between the cities will be cut from three hours down to 30 minutes. 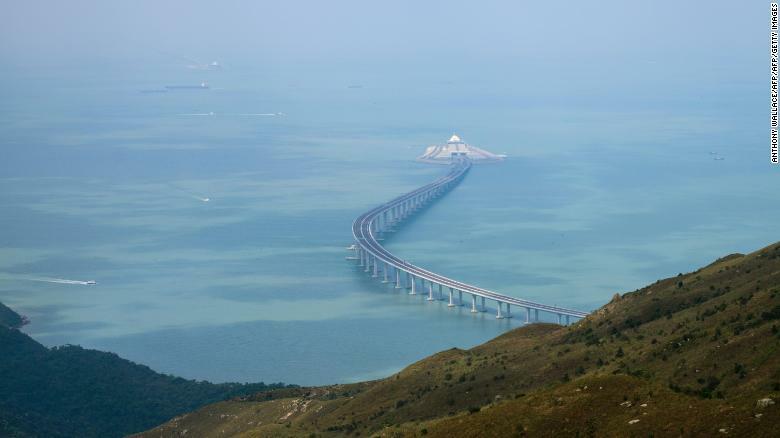 “With the bridge, the travelling time between Hong Kong and the western Pearl River Delta region will be shortened significantly, thereby bringing the western Pearl River Delta region within three hours’ drive from Hong Kong,” the city’s transport secretary, Frank Chan, said, according to CNN. Estimates suggest the bridge will be in use for 120 years but there are likely to be restrictions on usage. Private car owners in Hong Kong will require a permit to use the bridge, but people will have access to shuttle buses. The building of the bridge has not been without controversy; the bridge was delayed by a number of years and the budget overran. There were also corruption prosecutions, seven workers died and 129 were injured during the construction process.